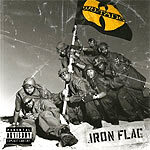 Another hit from the Wu. Pick this up and dive back into the realm of the 36 Chambers! Produced by RZA. Vocals laid by none other than the Wu-Tang Clan.